“This is a reward our team deserves for dedication and professionalism. We are very proud of being the chosen ones as the Romania’s Leading Business Hotel from all the prestigious hotels and brands on the market. I am very happy that our efforts of offering the best service and quality for the business travellers were recognized by this prestigious award.” said Stefan Frank, the General Manager of the InterContinental Bucharest. This is the third year when InterContinental Bucharest is emerging victorious at the World Travel Awards in the last four years. Other two InterContinental hotels in Europe were awarded during the ceremony called “The Oscars of the travel industry”, together with InterContinental Hotels & Resorts – Europe’s Leading Hotel Brand: InterContinental Malta and InterContinental Aphrodite Hills Resort. InterContinental Hotels Group succeeded to be awarded with eight awards in total at the 2013 World Travel Awards - Europe Gala, held in Antalya, Turkey. This year over 213,000 industry professionals participated in the voting process. 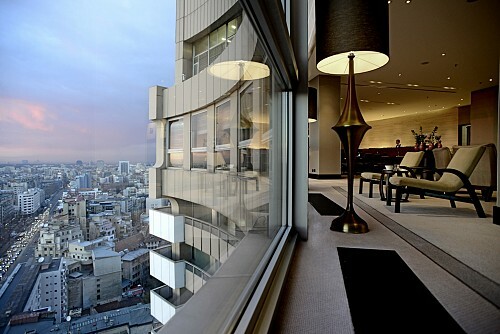 The InterContinental Bucharest is the highest hotel in town, unique for the stunning views from the guest rooms’ balconies. The hotel features 22 floors with 257 rooms and suites, a state of the art Club Lounge on the 21st Floor, a health centre on the 22nd floor, over 1500 square meters of conference space, two restaurants and a bar. The hotel is managed by InterContinental Hotels Group. InterContinental Hotels & Resorts is the premium brand of the InterContinental Hotels Group, with 170 hotels all over the world of which 30 hotels in the Europe region.